I just received a beautiful Tiffany's key!!! I love it to pieces....I can't wait to wear it out as soon as we get to New York!
" Do you remember a time before swipe passes and electronic pads, when doors- and secrets- were opened with keys. From steamer trucks to hotel rooms, from personal diaries to jewelry cases, a solid metal key was the only way in. 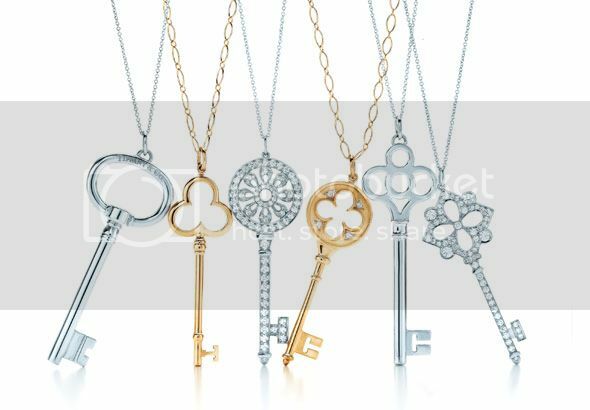 Tiffany & Co. unlocked their archives where such vintage designs lay hidden, and re-worked them into exquisite pendants from silver, gold and platinum. Now if only they'd make them fit our front doors, it would be the perfect mix of style and practicality."